Growing an indoor garden is fun and rewarding. Looking at the fresh growth and flower can uplift your mood and spirit every day. One major question is; where can I grow an indoor garden? Many of us live in urban environments with limited space, so our windows may already be full or unsuitable for keeping plants. You may have grown a plant indoors for a while quite happily on a kitchen or bedroom window, but perhaps you want more plants, or use net curtains or blinds. A leading cause of plant death is lack of sunlight, so indoor garden placement is very important if you want a vibrant and strong indoor garden. You too could grow Banana trees in your living room! Fortunately, excite has given this question a simple answer: anywhere you would like. With our growlights, you can place a plant indoors almost anywhere in the room. On the mantelpiece, in the corner, in the middle of the room, under a glass table, or somewhere else creative. Because our growlights deliver a powerful and perfect spectrum of light for plant growth, you can rest assured that your cacti, orchids or fruit & veg grow well anywhere. All you need is an electrical power socket and somewhere to hang the lights. Temperature: Your plants require a certain temperature to grow well. Fortunately, the vast majority of plants can grow well at room temperature (20-25 degrees Celsius). Read the plants growing instructions to get a good sense of the best temperature. Some plants are seasonal and require overwintering in a cool place. To increase temperature simply turn up your heating, or move the grow lights a bit closer. To cool down your plants, you can use air conditioning or keep a soaked towel nearby for evaporative cooling. Humidity: Too much humidity and your plants could rot (if they are arid plants) and too little and their leaves will sag and dry. Most plants are comfortable in a typical households humidity range of 50-80%. However, if you have low humidity, consider keeping plants closer together to pool humidity, or keep a wet tray nearby. Humidity is rarely too high for plants however. Family & Pets: It can be very annoying to come home to your dog looking guilty over a toppled plant pot, or to accidently do so yourself. Your plants are best growing in a slightly secluded area if they are vulnerable, or prickly! 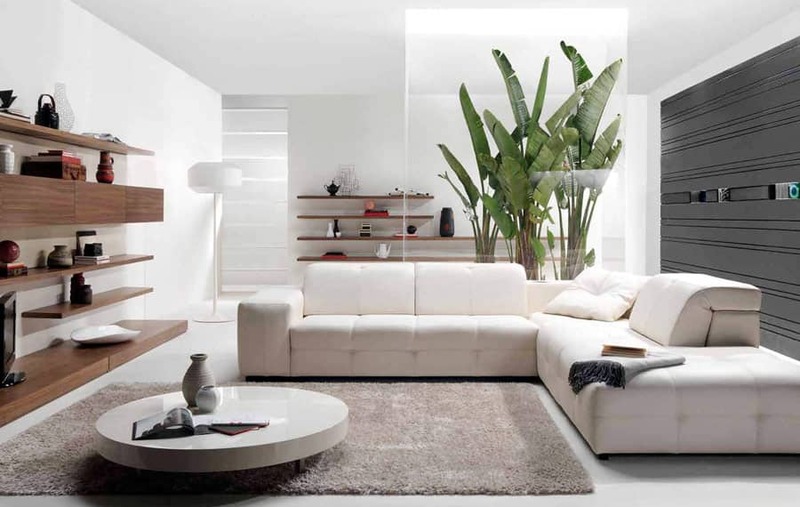 Décor: To make your plants stand out, they need to contrast or complement your living space. Try not to grow them in an already cluttered area, or make good space for them. Plants tend to look best growing against a white or light background. Consider using plant pots and stones to accentuate the growing space, and arrange plants well. Tall or bushy plants must always be placed at the rear, the shortest plants at the front. Consider combining tall and lanky, and ground hugging plants into one stand along combination. You can of course be creative in designing your growing space. To help you choose, consider the following ideas for inspiration. Inside a glass fronted cabinet: place your prized houseplants on display! Under a glass coffee table: for a conversation piece. Next to your sofa: socialise or relax among tropical plants and flowers. In a terrarium: grow delicate or special plants in a show terrarium. Inside the kitchen: keep fresh salads, fruits, herbs and greens for eating. Next to your bath: recline in your bath among luxurious ferns and orchids. In the hallway: impress your visitors with a colourful display of exotics. In the bathroom: keep your room fresh smelling with fragrant flowers. We hope we have helped you in choosing your indoor garden space. Remember to read our other indoor gardening articles to design the perfect display or house farm!